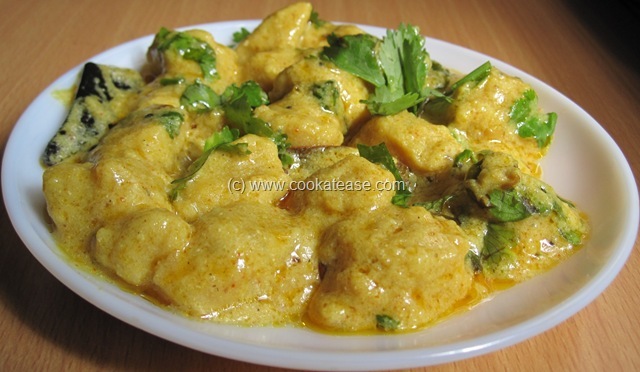 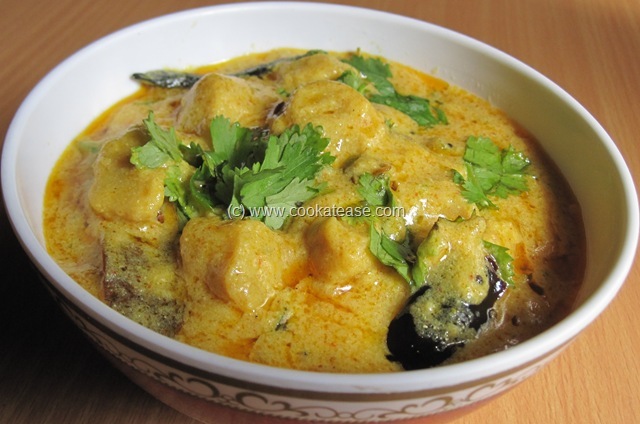 Gatte Ki Kadhi is a wonderful side dish. This dish comes very handy when there is sudden shortage of vegetables. 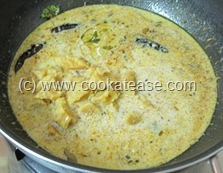 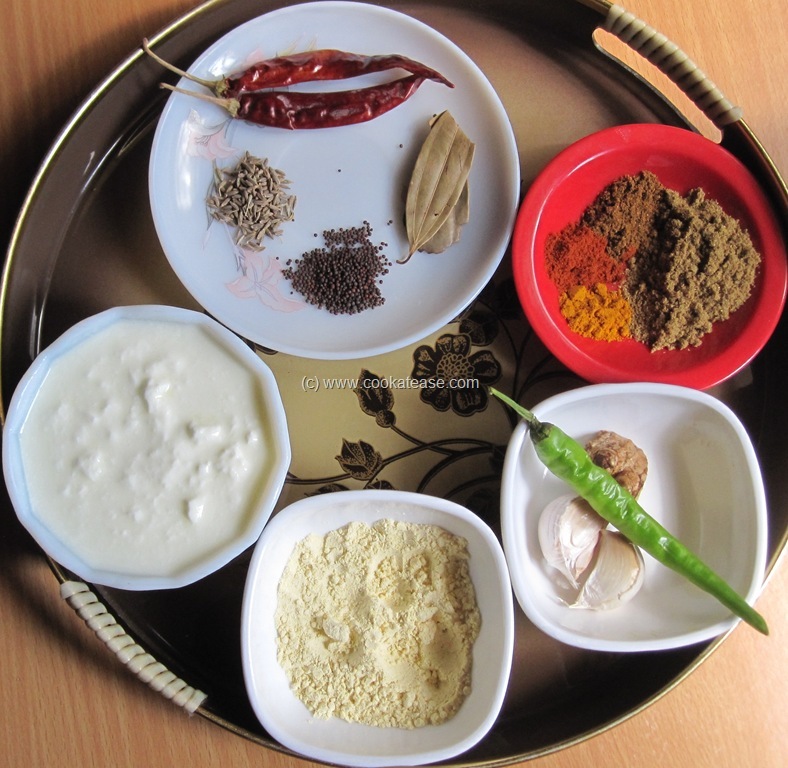 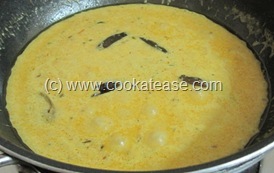 Curd, gram flour and spices are used to prepare this colourful kadhi. 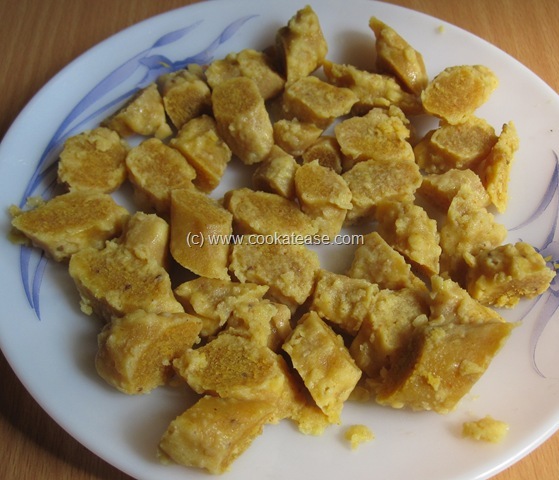 This Rajastani delicacy suits well with rice or chapati. 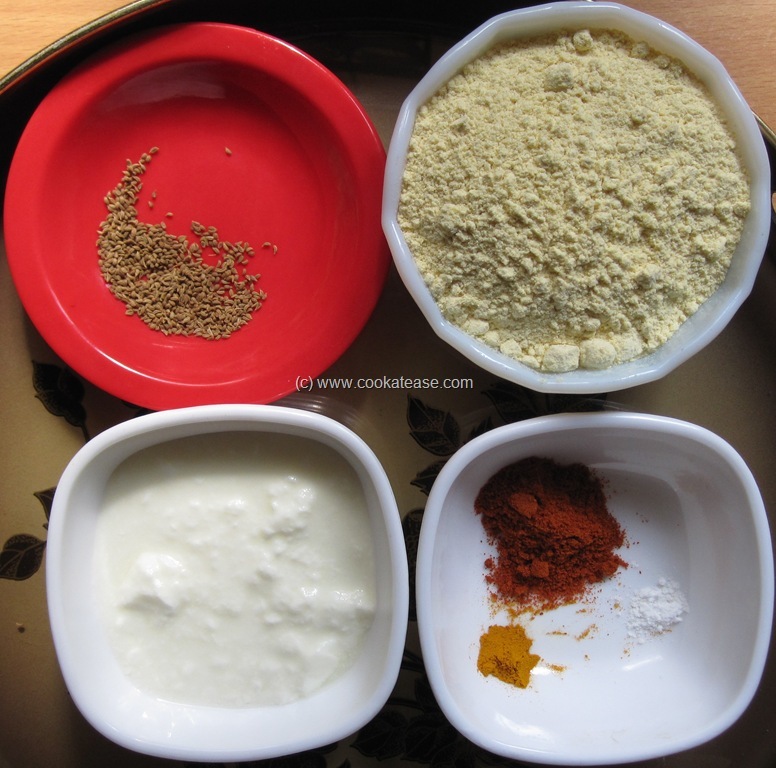 Though the list of ingredients is long, all the ingredients are generally available at home and it can be prepared in short time. 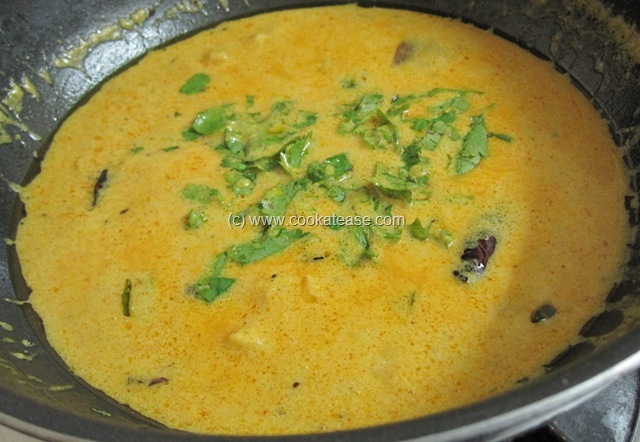 There may be slight variations in spices, as it varies from home to home in preparing this kadhi. Mix all the listed ingredients well. 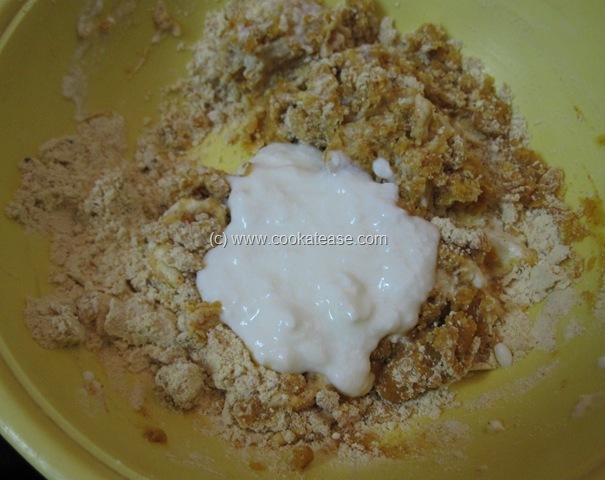 If needed add few drops of water to knead it to little stiff dough; roll it with greased hands to the shape of a thick rope/cylinder (approximately 6 inches long and 1 inch thick). 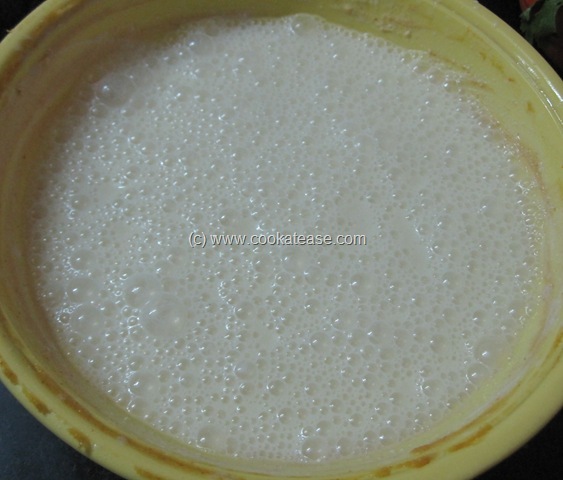 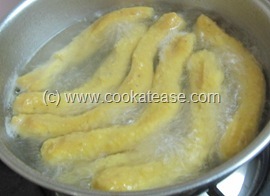 Heat 4 cups of water in a wide pan; when it starts boiling, add gatte in it; boil in full flame till gatte floats on the top; this may take 7 to 8 minutes; remove gatte from water; cut into small pieces and keep the boiled water for latter use to prepare gravy. 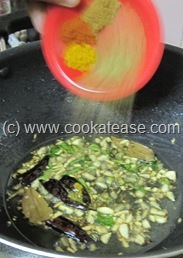 Chop ginger, garlic, green chilli and coriander leaves; add gram flour with curd and mix well. 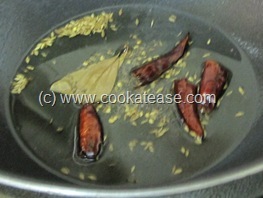 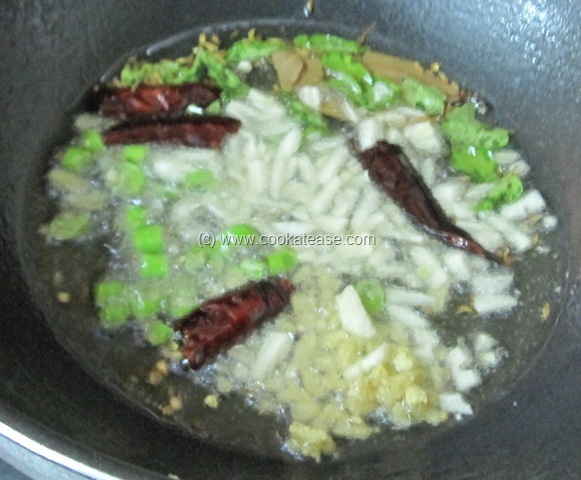 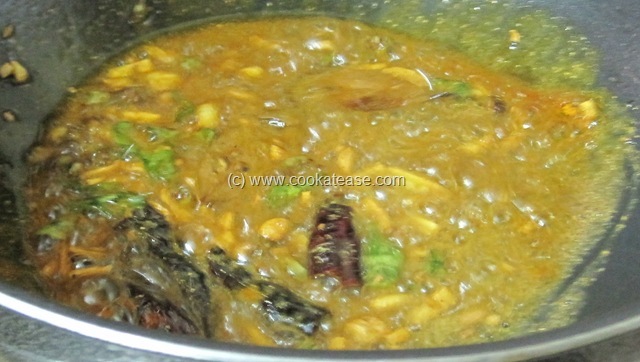 Add the water used for boiling gatte and beat well; you can adjust the consistency by adding some more water; heat oil in a pan; add mustard, cumin, red chilli and bay leaf. 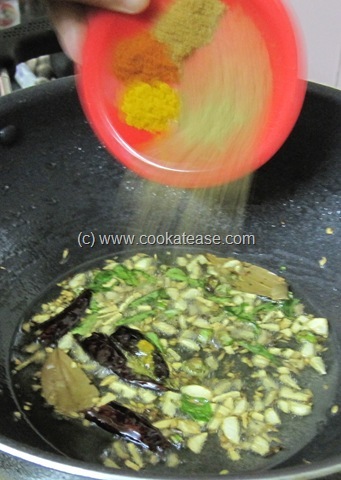 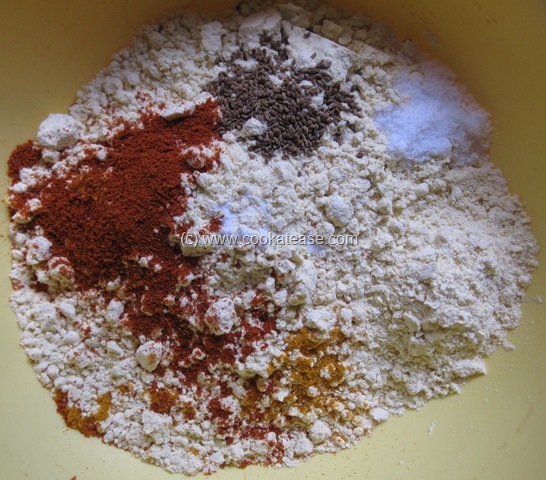 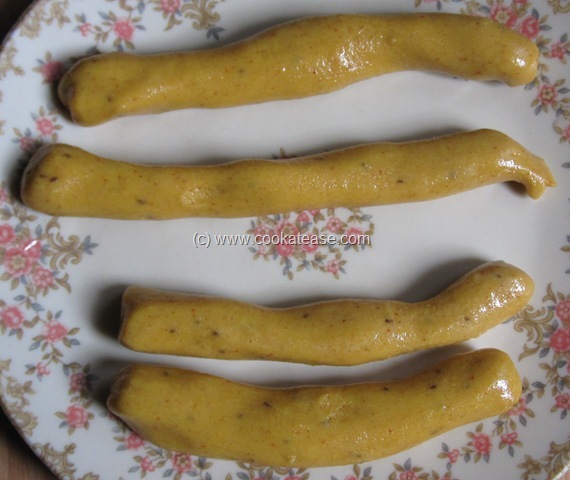 When mustard splutter well, add asafetida; then add ginger, green chilli, garlic and curry leaves; fry for few seconds or till golden in colour; add red chilli powder, coriander powder, turmeric powder and garam masala powder. 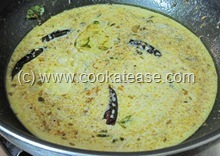 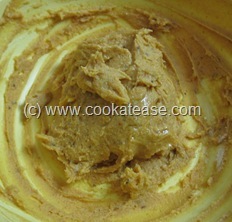 Fry for 2 seconds (care must be taken not to burn the spices); add beaten curd. 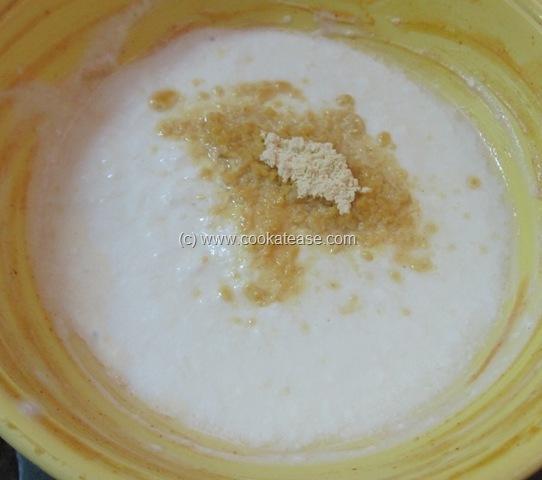 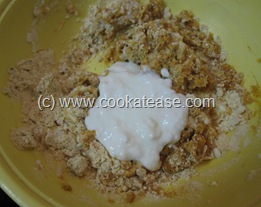 Add gatte; let it boil for few minutes; this helps gatte to be little soft; stir in between. 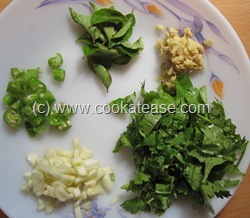 Add salt and mix well; sprinkle coriander leaves; now Gatte Ki Kadhi is ready.